Muscles Targeted: The basic dip is the “upper body squat” working many muscles in the chest, shoulders, back, and triceps. You can even work your abs and hip flexors with some variations. 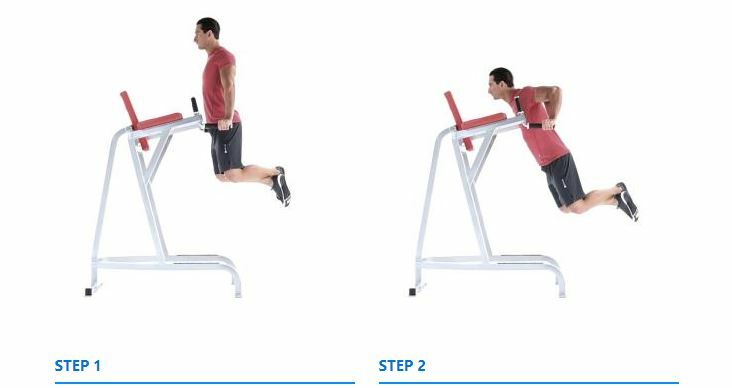 It’s a fantastic way to work the primary pushing muscles in a balanced way without placing too much emphasis or neglect on a select area. This is also a great way to work the deltoid muscles along the sagittal plane by moving the upper arm back to front. This is an often neglected range of motion for this muscle group and can help add size and definition to your shoulders.